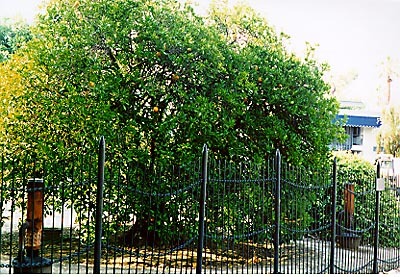 One of the two original trees from which all Washington Navel orange trees in California have descended. 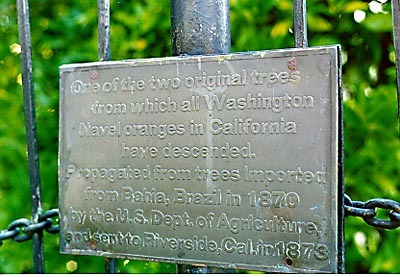 Propagated from trees imported from Bahia, Brazil in 1870 by the U.S. Dept. of Agriculture, and sent to Riverside, Cal. in 1873. 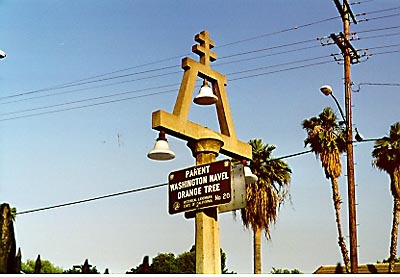 City Park, SW corner of Magnolia and Arlington Sts, Riverside.